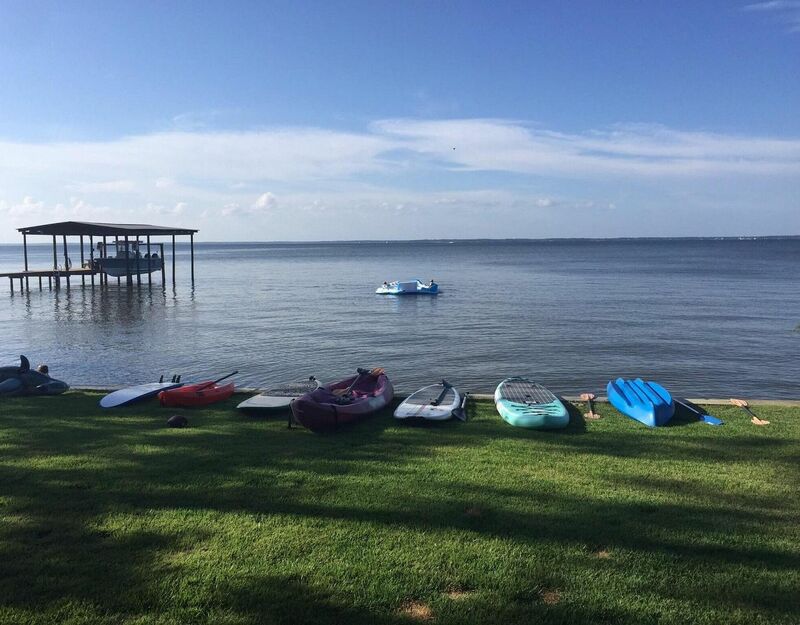 Posted by Destin Real Estate Sales on Thursday, July 13th, 2017 at 8:33am. 72 Carolyn Lane in Santa Rosa Beach, FL is a bank owned three bedroom bay front home that is listed at $799,000. This compares to other three bedroom bay front homes in this area that are priced from $725,000 to $1,795,000, which averages to $1,260,000. This property encompasses almost 2,500 square feet, has been fully renovated and includes three full baths. There is an open main living area on the first floor level with an additional Bonus Room on the third floor. This Santa Rosa Beach location affords privacy since it sits overlooking the water at the end of a quiet cul de sac. Set far back from the street, a long driveway meanders past towering pine trees up to this charming home. A lush lawn surrounds the house itself that is accented with manicured islands of Live Oak trees. A new sea wall stretches across the entire length of the bay front and a dock could be added for boating. The design of this home is a sophisticated blend of modern contemporary styling mixed with a rustic beach chic look. The main open living area has a soaring ceiling that rises up dramatically two stories in height. Double sets of glass doors look out upon the beautiful bay and above them a giant plate glass window provides views of the sky. Two wide portals lead from this room to the dining room and gracious open kitchen, which is perfect for entertainment. Another set of double glass doors go out onto the bayside patio from the dining room. 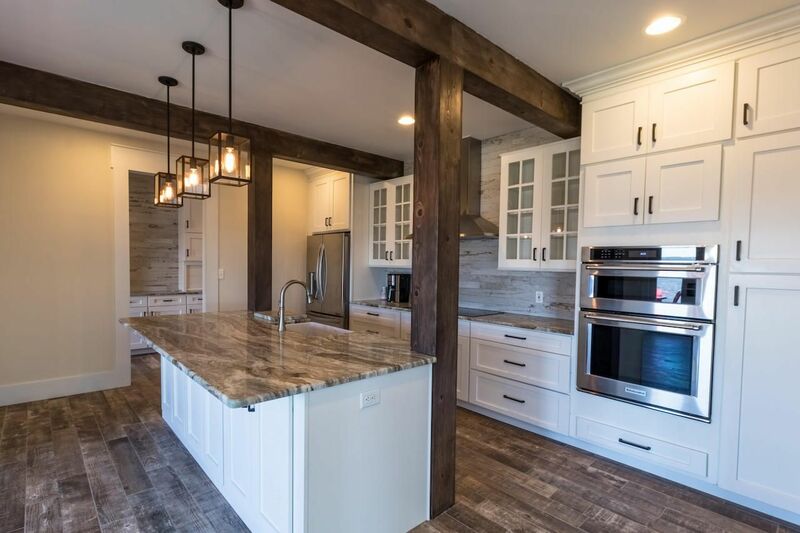 The state of the arts kitchen has rustic beams, smoky streaked granite countertops and gleaming stainless steel appliances. A large kitchen island provides a perfect place for food preparation and can serve as a counter bar. An adjoining open Butler’s Pantry has white custom cabinetry and a long granite topped bar for additional service while entertaining. An open staircase sweeps up to the three bedrooms that comprise the second floor. 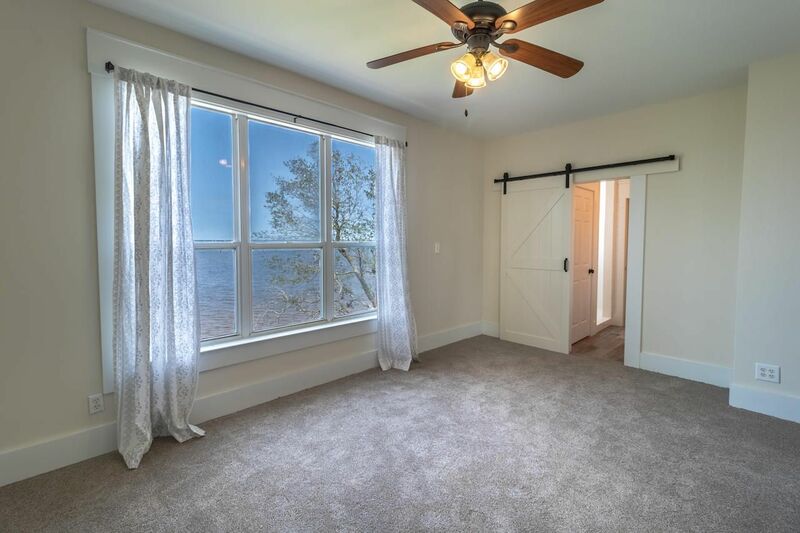 The Master Bedroom has awesome views of the bay through a large picture paneled window. This room features a full private luxury bath en suite with raised double vanity sinks and granite countertops. The long tub and shower are sharply decorated with striking white subway tile brick. The Bonus Room spans across the entire third floor from front to back. 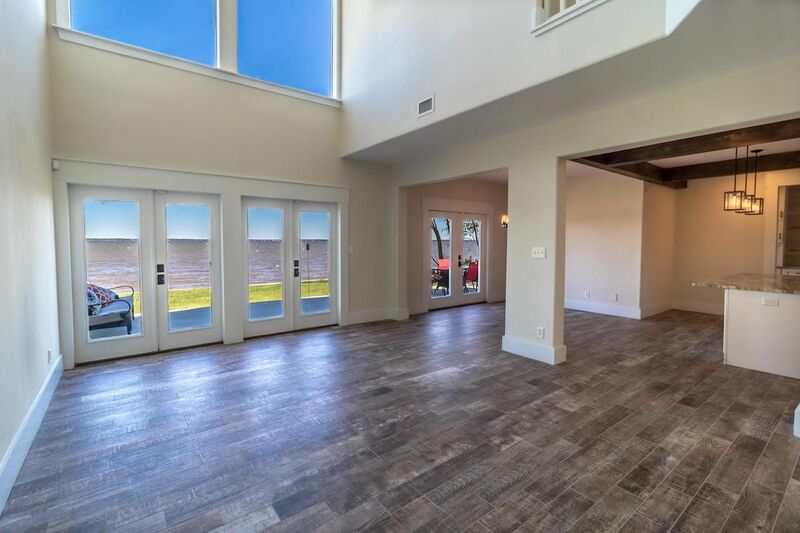 This long room would provide perfect space for a Media Room or separate game area. This house at 72 Carolyn Lane is ready to be shown! Call our Ocean Reef Real Estate office at (877) 392-6085 for additional information and schedule a tour today. UPDATE: This home is now under contract. Contact us now to submit a back up offer.